The fine folks at Deep Creek approached us for a design after noticing some of the marina and charter fishing sites that we have done. Deep Creek wanted to establish themselves on the web with a modern responsive design that would allow them to showcase their location, services, and amenities to locals and visitors alike. We put our design and copywriting skills to work building a site that truly represents their brand. It has been great watching their business continue to grow. 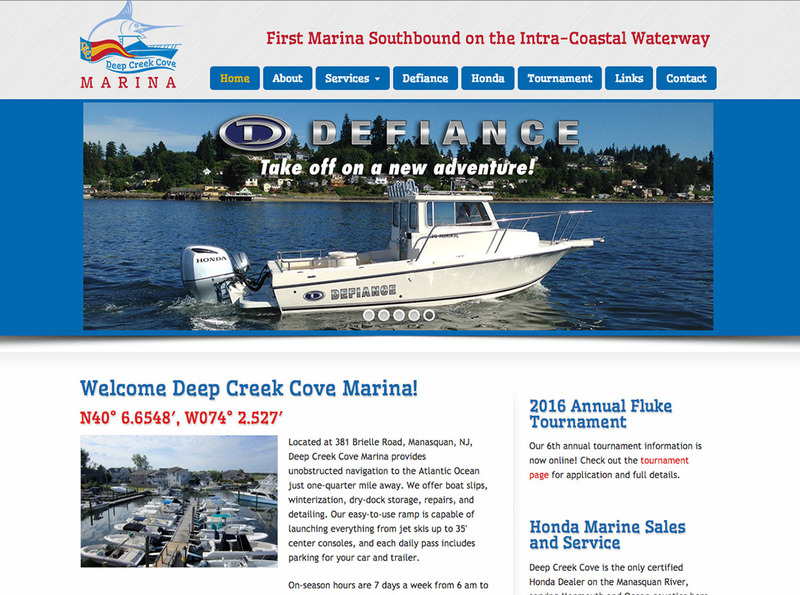 Since the site launch, we have collaborated to continue expanding their site as they have become a Honda certified Sales and Service location and picked up the Defiance boat line.